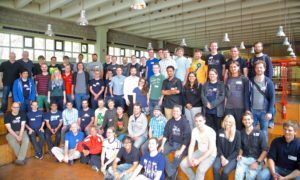 Like last year, the conference consists of an extensive hackathon where we will be working on making ownCloud more awesome, sharing ideas, inspiration and knowledge and welcoming new contributors into our community! On Saturday and Sunday we gather for a series of lightning talks and workshops. Go-register! 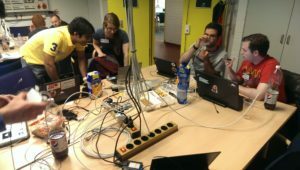 Making ownCloud better means working on the code & design, so we start on the 28th of August with a hackathon that lasts until Thursday the 3rd of September. However, on Saturday the 29th and Sunday the 30th we are going to take a bit of a break to listen to keynotes and short talks. The lightning talks are to demonstrate work progress like “what’s new in the News app,” to introduce new APIs and to share knowledge like “how to improve the design of your app” or “common security mistakes.” If you want to get a taste of what the talks are like, you can watch videos of the talks on our YouTube channel. In the afternoon and on Sunday we will have workshops to teach each other more advanced skills and to help new contributors learn the ropes. 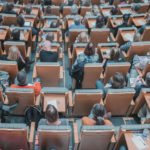 Think about subjects like “writing your first ownCloud app,” “writing better PHP” and so on. Meanwhile, hackathon rooms will be open and we’ll keep them open for full coding mode until the end of Thursday. We would love to hear your opinion on what subjects you’d like to have covered – share your ideas with us on these polls on Twitter, Facebook, Google Plus or Diaspora. Anybody interested in contributing to and improving ownCloud, be it through coding, design, testing, documentation or translating should absolutely join us. 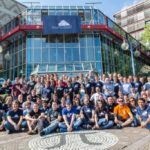 Implementing creative, unique ideas or just fixing that annoying problem – that is how ownCloud got where it is and that is how we move forward. 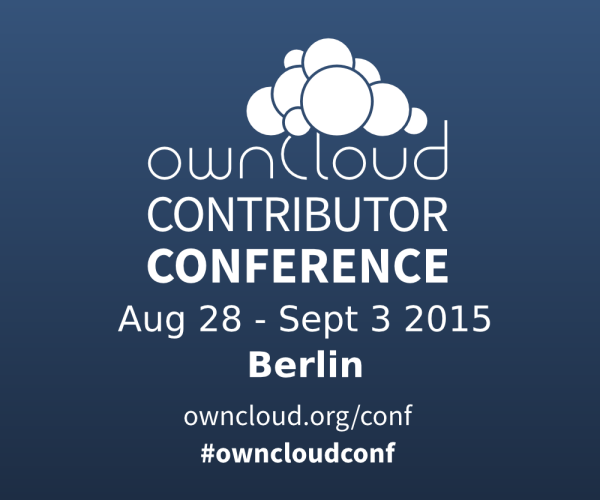 The ownCloud Contributor Conference is free and open. We would really appreciate it if you would register in order to help us plan for the event. We will put some hotel options on the site soon so you have a nice place to sleep between all the coding and talking. 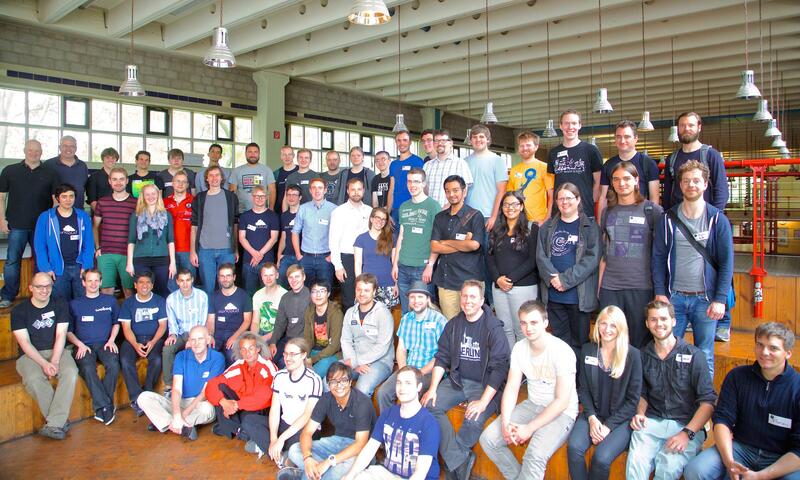 Last year, the hack-a-thon attracted over 100 ownClouders. This year, tell your friends about the event and bring them – let’s grow that number even more! 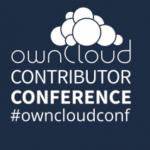 Promote the #owncloudconf over your social media accounts, talk to people at your local geek hangouts, ping enthusiasts on IRC… Find banners for blogs in our github repo. There is also a PDF of a poster you can print for at your office, a meetup or a local hacker space. 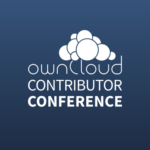 If you’d like to get some cool promotional materials including some of those ownCloud Contributor Conference posters to hang up at your local hack space or LUG, use this request form to get us your address. In the ‘event details’ section, just note some details about where you want to hang up the posters and put down the fliers! Note that we can unfortunately only ship to EU and USA.